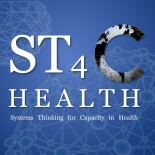 “Toward a Consensus on Guiding Principles for Health Systems Strengthening” was published in PLoS Medicine. It is open access, available to all. I have reproduced a summary list of the principles below. In the coming weeks, I will be posting on next steps: advocacy, application, education, research, etc. * Consider all systems components, processes, and relationships simultaneously. * Include all health systems strengthening principles listed below. * Consider global, national, regional, and local culture and politics. * Mobilize and advocate for social and political change to strengthen health systems and address the social determinants of health. * Develop long-term, equal, and respectful partnerships between donors and recipients within the health sector and among other sectors. * Develop and commit to a shared vision among partners by challenging underlying beliefs and assumptions. * Ensure frequent communication among actors. * Enhance capacity and ownership at all levels, from individuals and households to ministries of health, including leadership, management, institutional strengthening, and problem solving. * Train and supervise the most appropriate personnel to meet health needs. * Coordinate external aid and activities. * Allocate funds where they are needed most. * Strengthen structure, systems, and processes to gather, analyze, and apply data locally. * Make decisions, whenever possible, based on evidence. * Monitor progress of programs, and adjust accordingly. * Ensure transparency and accountability. * Target those who are disenfranchised. * Plan for equity by empowering the disenfranchised, with a particular emphasis on gender. * Disaggregate indicators to track disenfranchised groups. * Ensure that funding streams are predictable. * Consider insurance schemes to protect from financial catastrophes. * Respond to needs and concerns of all stakeholders. * Demonstrate accountability to constituents. * Implement and respond to feedback mechanisms measuring quality and provider/client relationships. This entry was posted on December 22, 2010 by chads in Uncategorized.